The 2019 Summer Program Guide is designed to be a guide to summer fun, learning and discovery. Available both online and in print by the week of April 24, the Summer Guide lists activities for all ages from early childhood through senior adults, with information to help plan some fun activities this summer. Find both new and continuing programs in the areas of arts, athletics, dance, fitness, aquatics, nature and science and technology. The Summer Guide also includes free community special events, such as the 95th Street Farmers Market, Concerts in Your Park, A Night at the Movies, and more. A new infographic highlights the fun, summer recreation available at the Riverwalk. Find details about favorite recreational facilities, including Centennial Beach, Springbrook and Naperbrook Golf Courses, Knoch Knolls Nature Center, and Fort Hill Activity Center. Additionally, families interested in soccer can find information for fall Naperville Youth Soccer and Premier Soccer registration in the Summer Program Guide. 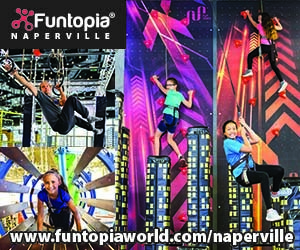 Naperville Park District Administration Building, 320 W. Jackson Ave.
Alfred Rubin Riverwalk Community Center, 305 W. Jackson Ave.
Fort Hill Activity Center, 20 Fort Hill Dr.
Knoch Knolls Nature Center, 320 Knoch Knolls Rd. Naperbrook Golf Course, 22204 W. 111th St./Hassert Blvd. Springbrook Golf Course, 2220 W. 83rd St.
Naper Boulevard Library, 2035 S. Naper Blvd. Nichols Library, 200 W. Jefferson Ave.
95th Street Library, 3015 Cedar Glade Dr.
Resident online, phone-in and walk-in registration for summer programs begins at 8:30 a.m. on Mon., April 29. Residents also may drop off completed forms at a Park District facility prior to April 29 and staff will input the registrations on April 29 concurrently with online registrations in the order in which they are received. Nonresident registration begins at 8:30 a.m. on Thurs., May 2. Resident online registration for Fall Naperville Youth Soccer and Premier Soccer begins Tuesday, May 7 at noon for girls and May 8 at noon for boys. Nonresident online and resident phone-in and walk-in soccer registration begins Thursday, May 9 at noon. 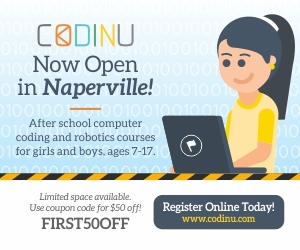 Please note that the 2019 Summer Camps Guide was included with the Spring Program Guide and is available online at www.napervilleparks.org/programguides. Summer camp registration is underway for day camps and special interest camps, which offer week by week registration options.